Echoing the words of the Holy Father, Virginia Bishops Francis X. DiLorenzo and Paul S. Loverde asked the faithful of their dioceses to help radically shift the Commonwealth’s ongoing debate about use of the death penalty. In last week’s statement, the Bishops say we must shift the debate from who should be executed or how to execute them to why the death penalty is still being applied in a society that has other means to protect itself without taking a human life. The Bishops’ statement is also available in Spanish, Korean, and Vietnamese. 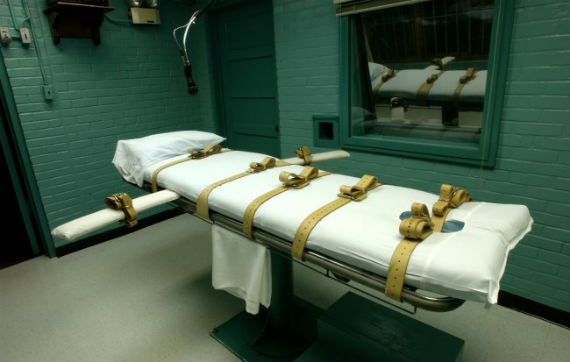 Here in the Commonwealth and elsewhere, debates in recent years have focused on issues such as who should be eligible for the death penalty, how executions should be carried out, and even how to preserve the use of the death penalty in the wake of numerous botched executions, such as the one in Oklahoma now at the center of a Supreme Court case about lethal injection protocols. The Virginia Catholic Conference has been a lead opponent of numerous death penalty-related bills over the past decade. During this year’s legislative session, the Conference and partnering organizations stopped a measure that would have permitted the Commonwealth to arrange with compounding pharmacies to mix execution drugs in secret. Last year, the same groups defeated a bill that would have required death row inmates to be electrocuted if lethal injection drugs were not available. However, it is now time for society to turn away from asking who should be sentenced to death and by what means, and ask if the death penalty is acceptable in a modern society capable of protecting itself without taking a human life. The Church’s teaching on the death penalty is succinctly stated in a 2005 U.S. Bishops’ statement, “A Culture of Life and the Penalty of Death”: “No matter how heinous the crime, if society can protect itself without ending a human life, it should do so.” This statement is the teaching of the Catechism. For decades Popes John Paul II, Benedict XVI, and Francis consistently have urged us to embrace it.